Hiking, biking, and climbing are among the most popular outdoor activites in Boulder. However, there are many other niche activities for those who seek them. 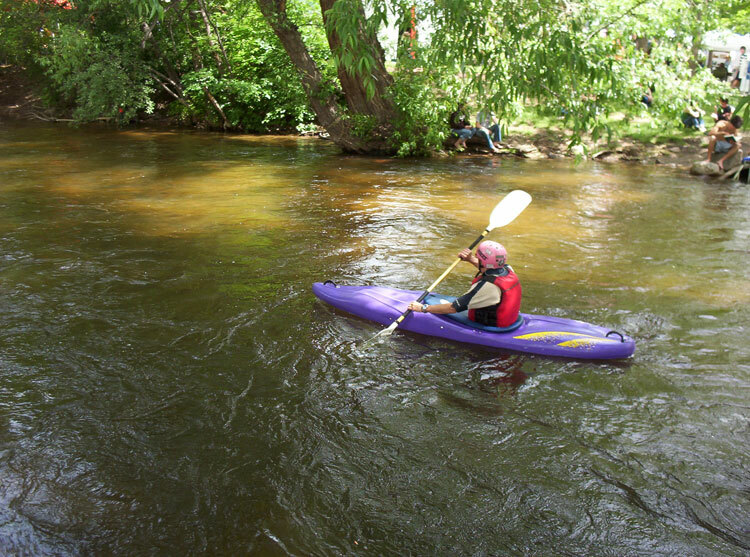 The Boulder Creek offers opportunities for kayaking and inner tubing. Paragliding and hot air ballooning are available in the area. In the winter, downtown Boulder opens its own outdoor ice skating rink. We've listed information on these activities below. Boulder can become quite hot in the summer — days in the 90°s are quite common. If you're visiting Boulder in the hot season and are looking for opportunities to cool off, try visiting the Boulder Reservoir. The 600-acre lake offers swimming and boat rental opportunities. To get there, take the Diagonal Highway to Jay Road to 51st Street (map). There is a per-person entrance fee of $6. Closer to the center of town, the Boulder Creek offers an opportunity to get wet. On hot days, hundreds of people slide down the creek on inner tubes. Kayakers also enjoy the kayak playpark (class II-III rapids). Most of the excitement takes place near Eben G. Fine Park, near the confluence of Canyon and Arapahoe (map). White-water rafting is also available throughout the state of Colorado. For detailed information on white-water trips — as well as canoe and kayaking opportunities — visit the Boulder Outdoor Center at 2525 Arapahoe Avenue (map) or call them at (303) 444-8420. Hot air balloon rides along the front range of the Rocky Mountains are a delightful way to appreciate the area. Early morning rides are luxurious experiences, complete with champagne at the flight's conclusion. One popular local flight company is Fair Winds Hot Air Balloon Flights (303) 939-9323. With its plentiful foothills and gusty winds, Boulder is also a popular spot for paragliding. Local paragliding companies include the Parasoft Paragliding School (303) 494-2820 and Peak to Peak Paragliding (303) 817-0803. 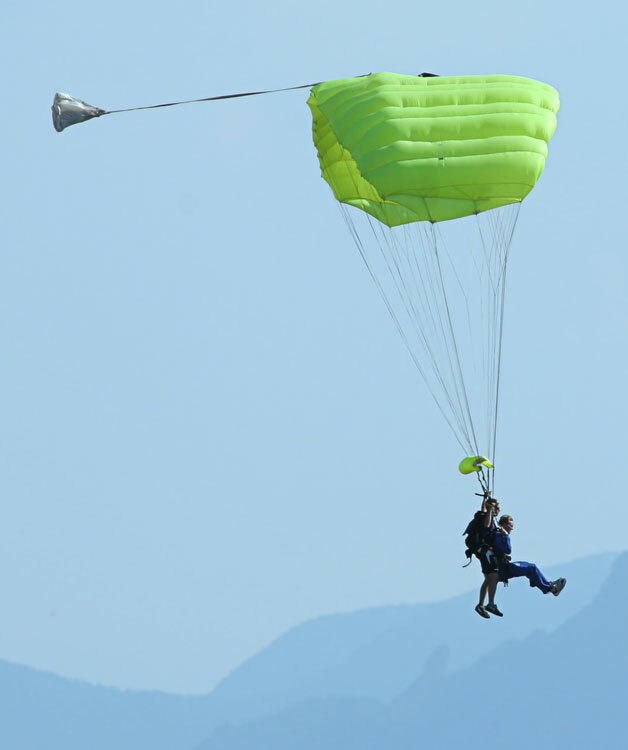 Both companies offer tandem flights with paragliding instructors. Mile High Gliding offers glider plane tours from the Boulder airport. One- and two-person trips offer a great view of the Boulder foothills. You can contact them at (303) 527-1122. Golfers will enjoy the Flatirons Golf Course. 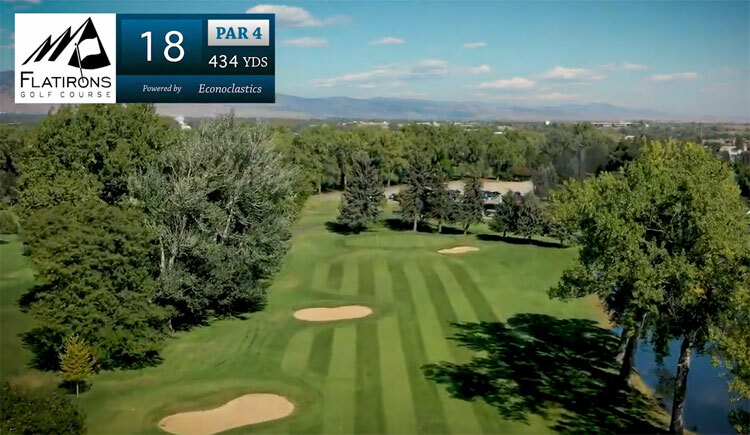 Located at 5706 Arapahoe Road (map), the 18-hole public course is affordable and open to visitors. Club and cart rentals are available. Phone: (303) 442-7851. Mini-Golfers will also have fun in Boulder. The Gateway Park Fun Center offers two 18-hole miniature golf courses, as well as go-kart rides and an arcade. Batting cages and a golf driving range are also available. Located in North Boulder at 4800 28th Street (map). In the winter, Boulder opens its own in-town outdoor ice rink. Though it's much smaller than New York City's famous Rockefeller Plaza rink, Boulder's version does manager to capture the same magical fun. The rink is located at One Boulder Plaza, at the corner of Canyon and 13th street (map).